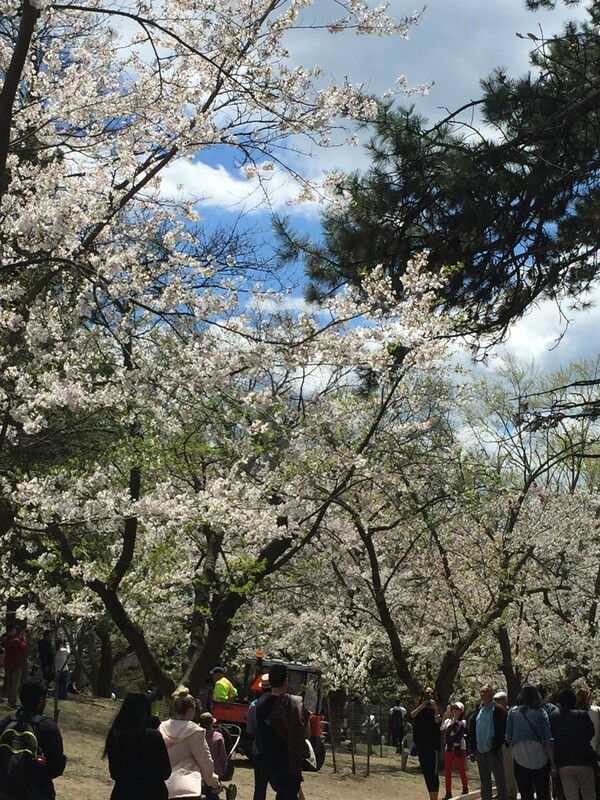 The blooming of the cherry blossoms in High Park is a big deal. Every year hundreds of thousands flock to the west end of Toronto to take in the cherry blossoms. 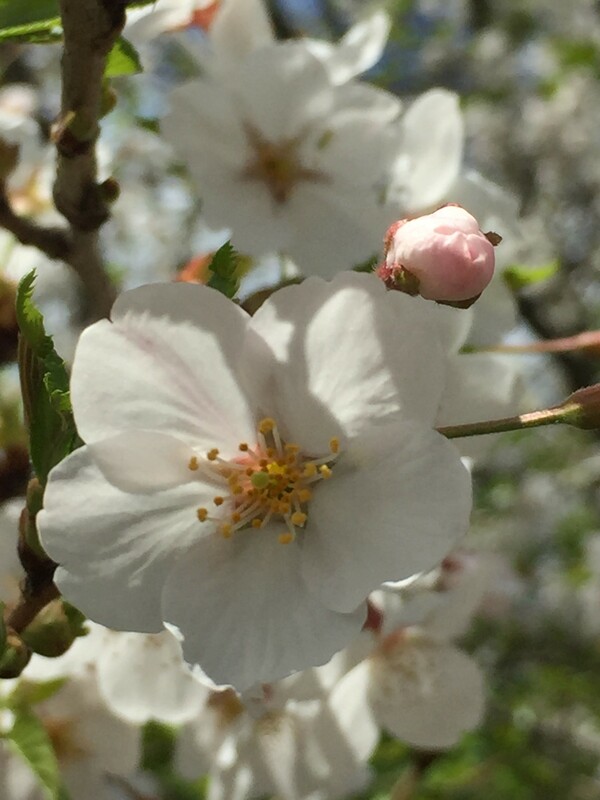 In 1959 the Japanese ambassador to Canada, Toru-Hagiwara, presented 2000 Japanese Somei-Yoshino Sakura trees to the citizens of Toronto on behalf of the citizens of Tokyo. 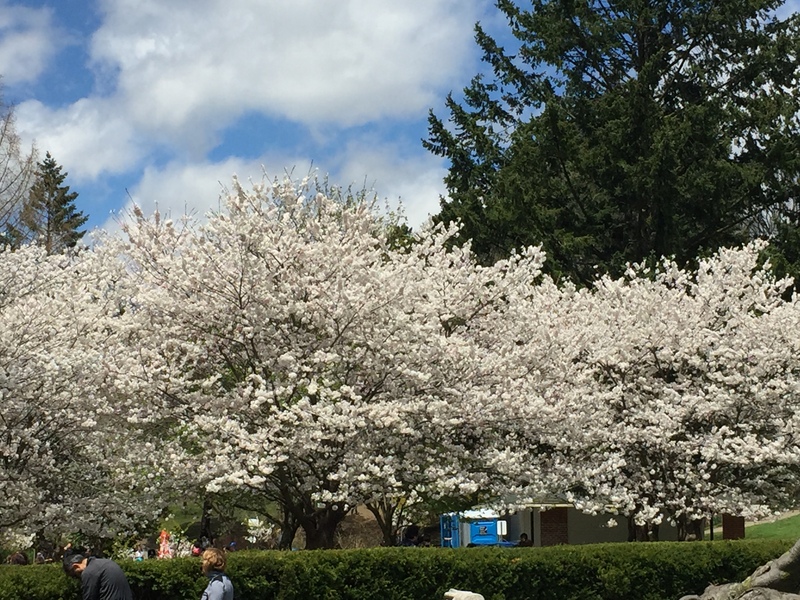 The trees were planted in appreciation of Toronto accepting re-located Japanese-Canadians following the Second World War. 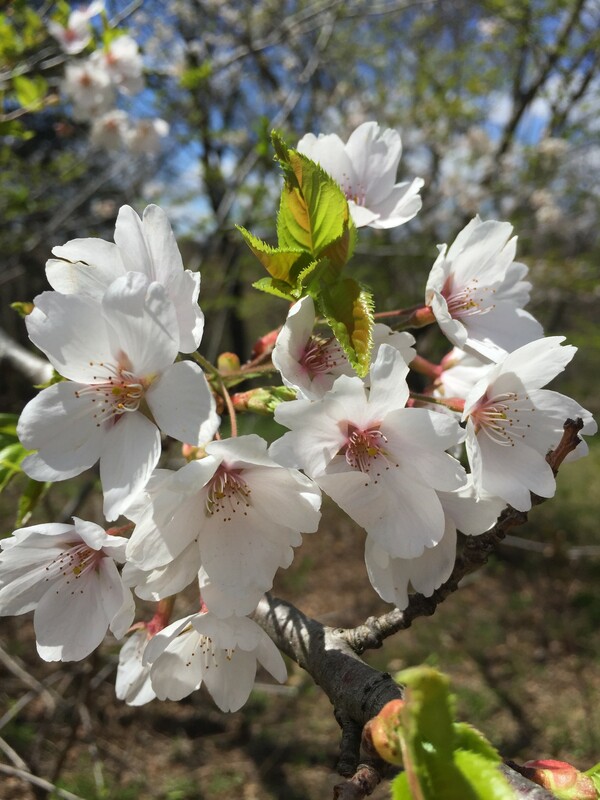 Sakura is the Japanese name for flowering cherry trees and their flowers – often referred to as cherry blossoms. 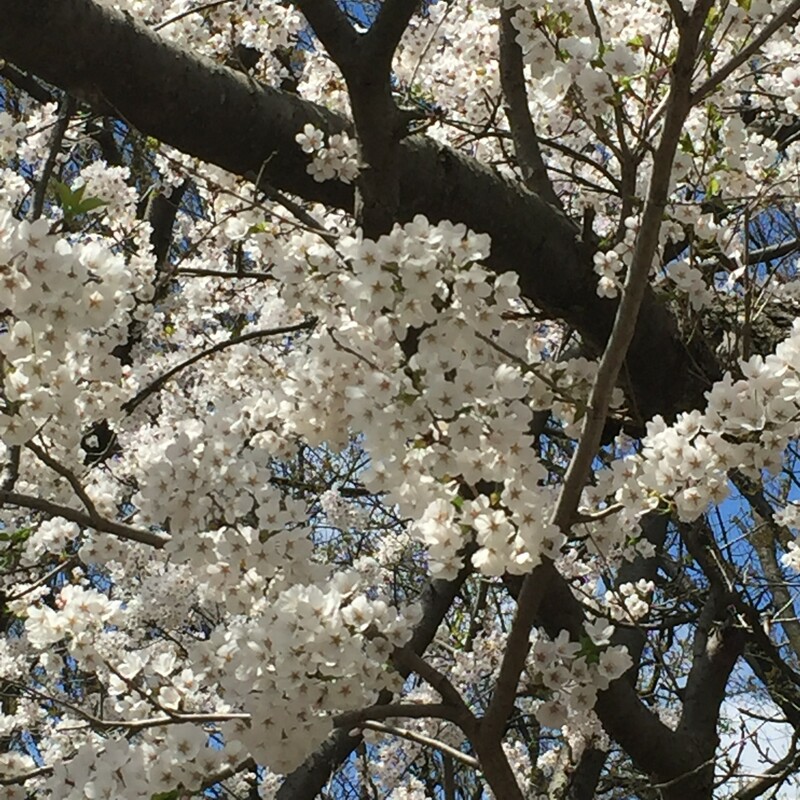 The Japanese traditional custom of hanami or “flower viewing” dates back to 710-794 when the Chinese Tang Dynasty influenced Japan with their custom of enjoying flowers. 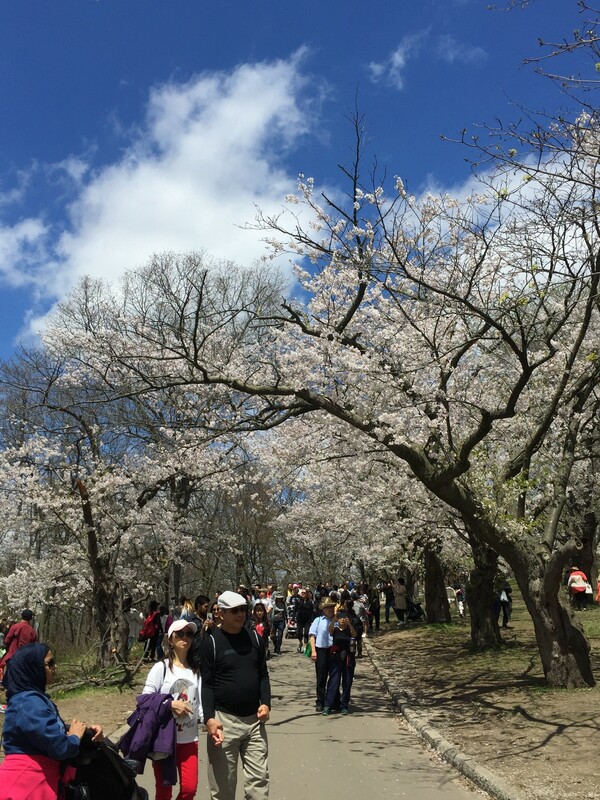 Today when the Sakura trees bloom, Japanese people and people from all walks of life and cultures continue the tradition of hanami, gathering in great numbers along the pathways on the eastern shore of Grenadier Pond in High Park. 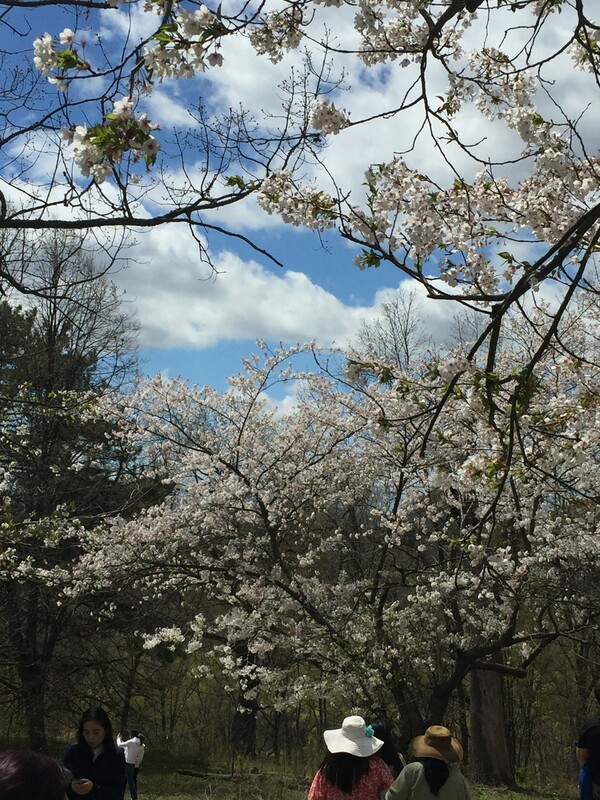 Thanks to the High Park Nature Centre for the information about the history of the Cherry Blossoms in High Park. 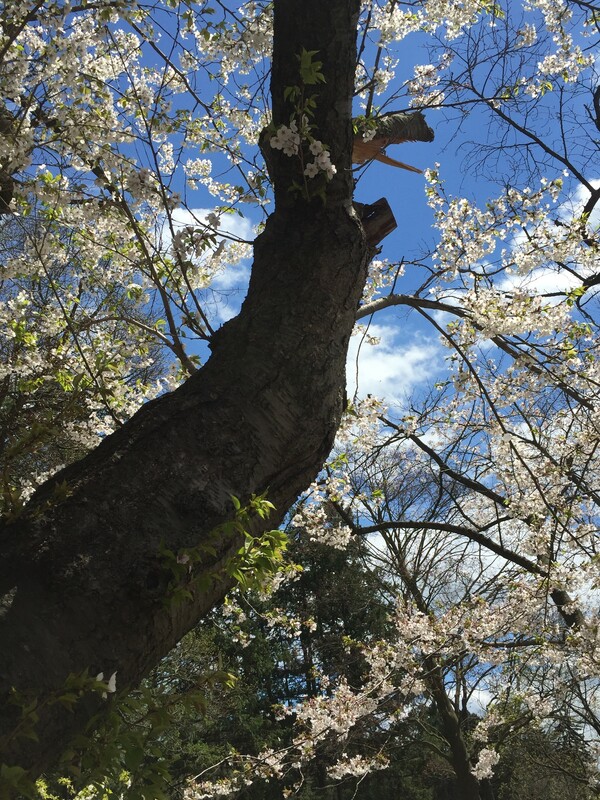 If you get out in the next couple of days you can still catch some of the blossoms before they fall to the ground. 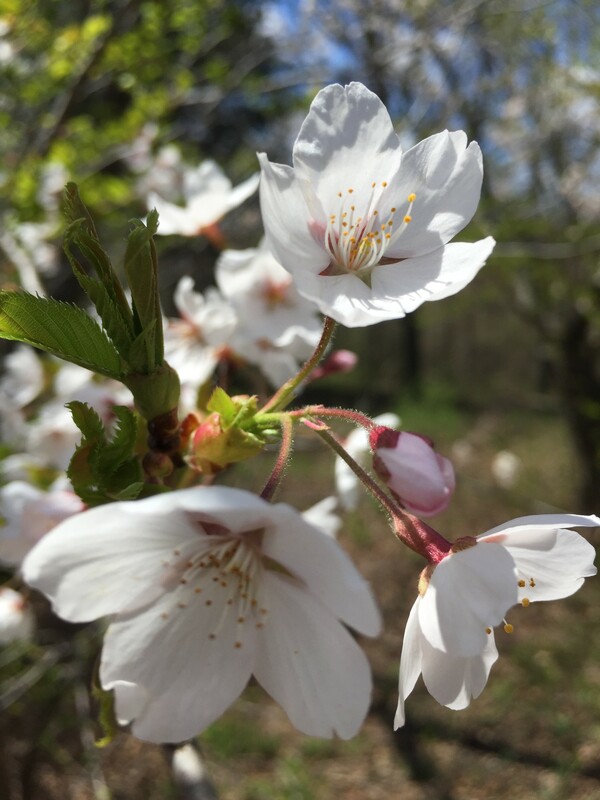 This entry was posted in Celebrations, Interesting Places, nature photography, Photography, Toronto, Trees and tagged Cherry Blossoms, High Park, history, people, photography, Sakura, trees by Mama Cormier. Bookmark the permalink. It’s lovely seeing the cherry blosson. Unfortunately it doesn’t last long here, especially with variable spring weather like we have at present. Edinburgh too has a Japanese garden. A beautiful peaceful place to have a wander and enjoy the plants and traditional stone ornaments. 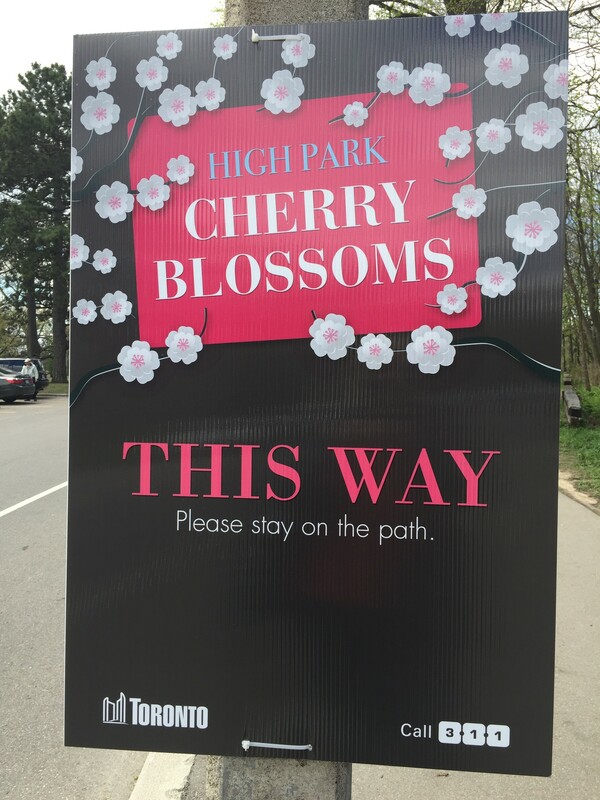 There are apparently five other places in Toronto where the cherry blossoms from Japan were planted but High Park has the largest display. The blossoms only last 7 to 10 days here and some years, depending on the weather, less than that. Over the years new trees have been planted to replace some of the old ones.